Blood-Red Pencil: How Long Does it Take to Finish a Novel? How Long Does it Take to Finish a Novel? Dud Campbell could feel it in the mornings … the cool breeze on the skin, the slight chill in the air, the messages nature sent to tell us autumn is almost here. And in autumn, Dud knew, the duchess and the truck driver would return to his computer for yet another season of novel writing. Dud switched on the computer and sat down to work on “Murder in the Soggy Bottoms” once again. Doc thought that sounded like mayhem in the neonatal ward, so we just called Dud's story The Duchess and the Truck Driver. Anita smiled when she saw her husband back at work on his dream book, and made coffee. It was always hardest for Dud to type the first word, so he wrote “Dear Mom” as he always did, and then proceeded with the story. He’d delete the Dear Mom later. 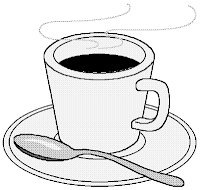 Dud smiled at that and sipped his coffee. Not bad. Not bad at all. The coffee was good, too. Oh yes, Dudley, he told himself. This year I think we’ll finally finish this novel. 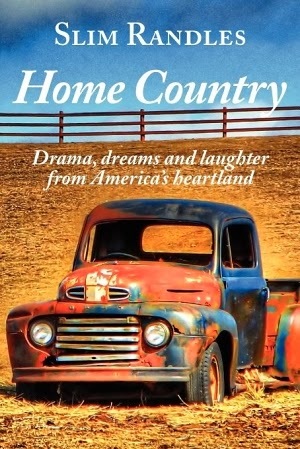 If you enjoyed this essay from Slim Randles, you might like to read his book, Home Country, that has a lot more about Dud and Doc and the rest of the gang at the Mule Barn Truck Stop Think Tank. The column is syndicated in hundreds of newspapers across the country, and Slim graciously shares them with us here. Posted by Maryann Miller who has taken a sabbatical from the normal schedule of posts here at BRP, but is always ready to help fill a spot when she can. 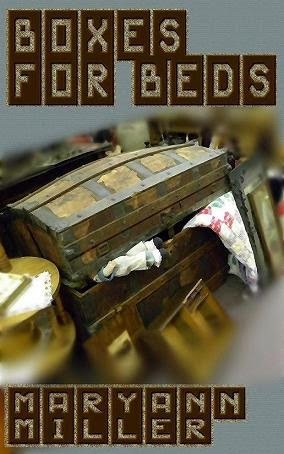 Check out her free book for Kindle - Boxes For Beds. Sale ends midnight tonight. That's an interesting tidbit, Terry! So glad you enjoyed Slim's offering today, Terry, and what an interesting idea to start a writing project with a "stock" chapter. I might have to try that. Dud sounds like a dude I could relate to. We all need something to wake up our writing muse, and this is as good as any I've seen -- better than most, in fact. And who knows...maybe one day "Dear Mom" will find an honored place to stay at the beginning of "Murder in the Family Tree." So true, Linda. I like that title. Is that a book you are going to write or a suggestion for Dud? Question for discussion: Do you use a writing prompt? I never thought about something like Dud's or Terry's, but that is intriguing. Because I write in my head long before I put words on paper (think hard drive), I rarely use a prompt. However, as noted in an earlier post, my beginnings are subject to numerous tweaks and outright rewrites. I wouldn't call what I use a writing "prompt" -- it's just a story that refuses to be written. I keep starting, it keeps going elsewhere, so I delete and save it for another try. Kind of like revving the engine. I enjoy what Slim writes. I personally don't usually use a prompt to get me started, but I use it as an exercise in writing classes I teach, and I think it can be a great way to get yourself started if you're facing that blank page with a blank mind. So glad you enjoy Slim's offerings here. He does have a way with words. I've never used a prompt, either, but I do like to leave questions in my work and random thoughts on what could come next as I'm finishing a day of writing. Then when I come back, I have a starting point. What fun! 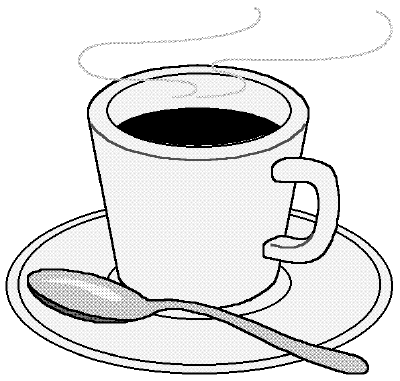 Love this: "This American with the stainless steel insulated coffee mug with the lid on it?" Hmmm, I'm now tempted to start the next chapter of my novel-in-progress with "Dear Mom." That is a great description, isn't it. (statement not question. LOL) We know so much about this character by that single sentence. I think Slim has mastered this kind of concise writing because all of his columns are so short. Like with writing poetry, you learn how to do the most with the least amount of words when writing short columns. Dud and Doc sound like two very colorful characters! They are, Morgan. I've enjoyed knowing them via these stories for several years now. I am always amazed at how Slim can keep this series of columns going for so long and not repeat himself.